But it had just what I needed to soothe my sore throat and satisfy my sweet tooth. So it was time to dig in…and it was heavenly! 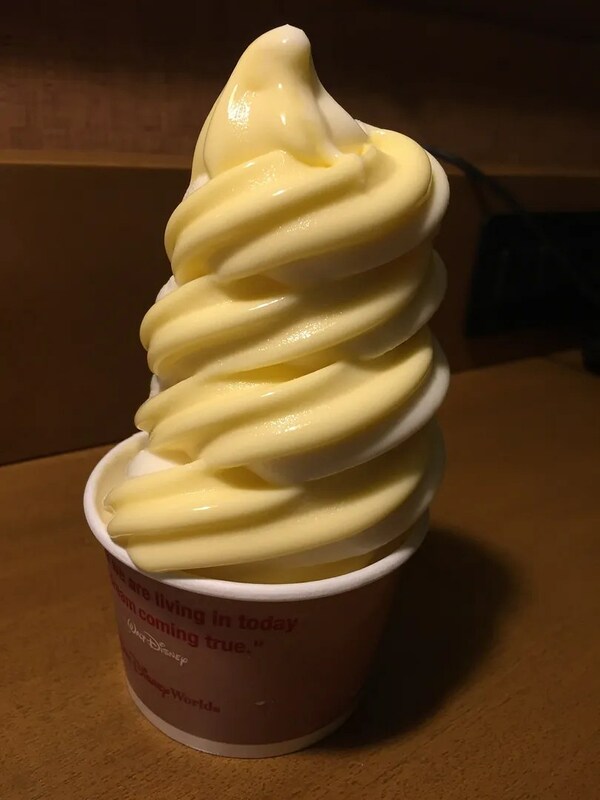 I loved the flavor combination of the pineapple and the vanilla soft serve ice cream. Perfection! I enjoyed this so much that I returned to the Pineapple Lanai at least 2 more times during my 5 night stay at the Polynesian. 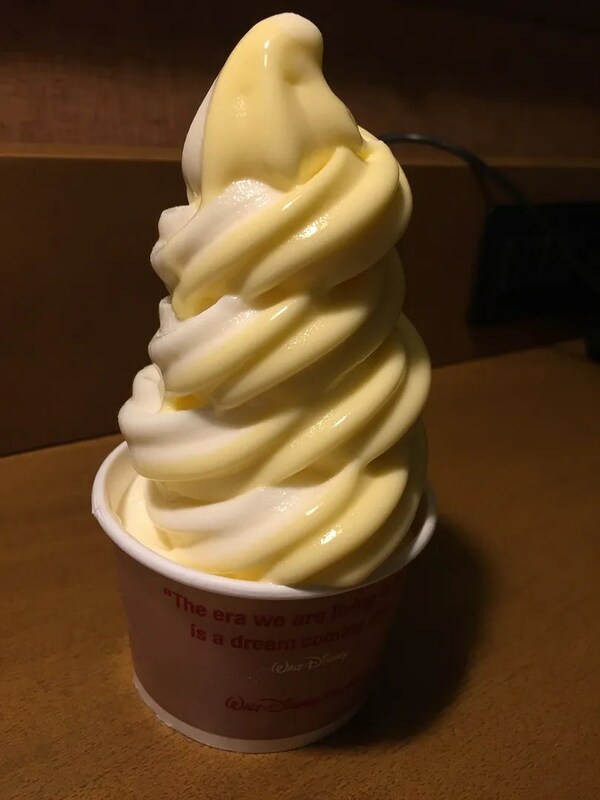 And the Dole Whip Swirl is now on my “Must Have Every Trip” list. 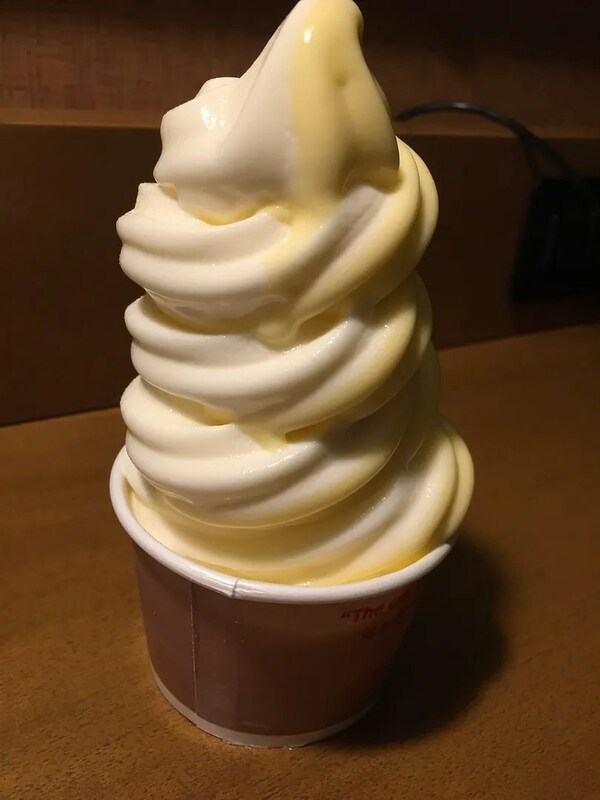 Maybe on my next trip I’ll do a taste comparison between the Dole Whip Swirl from Aloha Isle (Magic Kingdom, Adventureland) and the Pineapple Lanai one. 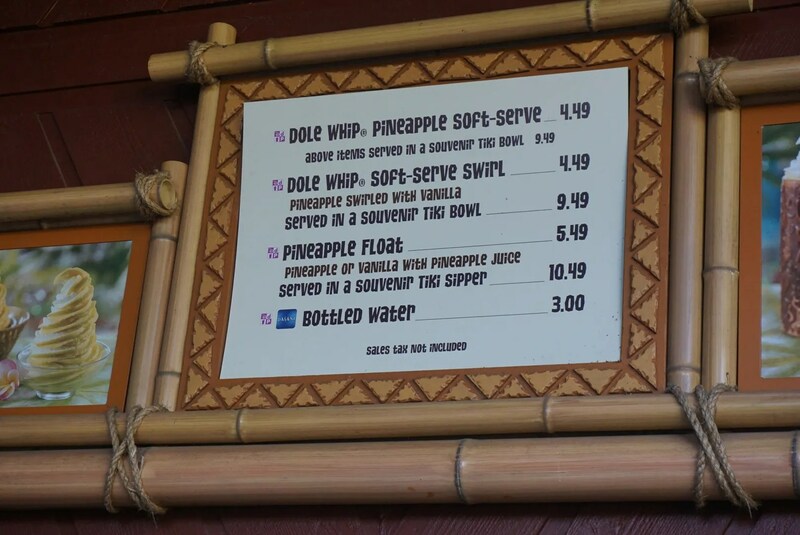 I would imagine they are the same and according to the Aloha Isle menu (on the Disney World website) they are the same price. 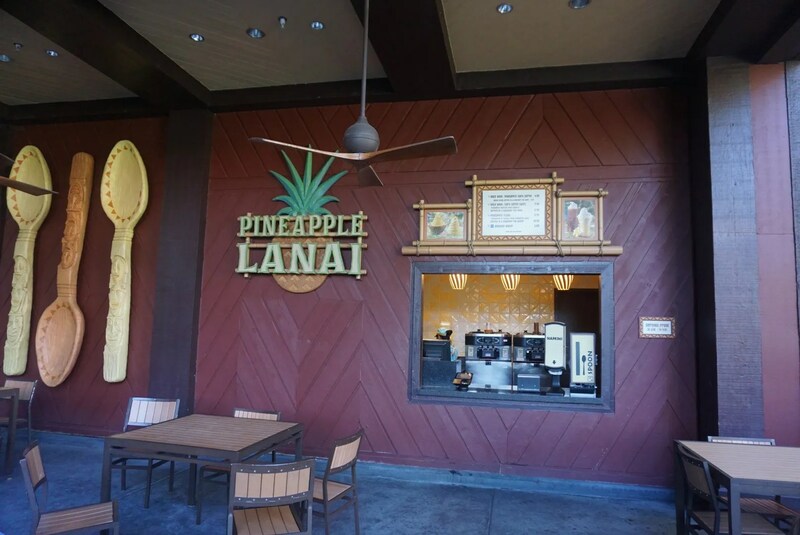 Oh, and speaking of price, note that all three of the Dole Whip options on the Pineapple Lanai menu are a snack credit when using the Disney Dining Plan. I wasn’t on the dining plan, but if I were I would have been pleased with my choice.